- Sorry, I forgot to change the equip slot of torcs in the plugin file. It has been changed in this version. 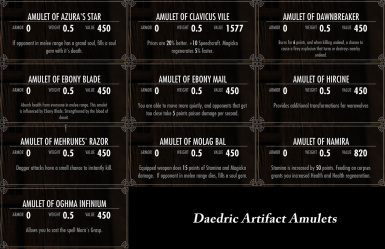 - Fixed the recipe for crafting "Masque of Clavicus Vile" from this amulet version. 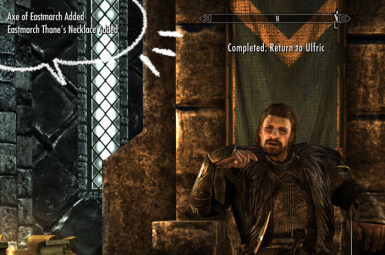 - Get better compatibility with Unofficial Skyrim Patch. 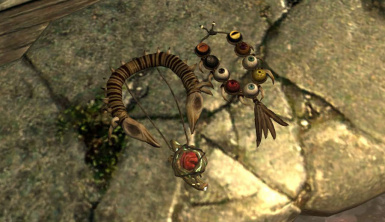 - Change the equipment slot of torc (Forsworn torc and Torc of Labyrinthian), from slot 35(amulet slot) to slot 45. - Added the bigger version of Stone amulet. 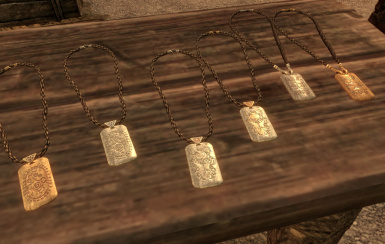 You can buy them at Radiant Raiment in Solitude. - Added Patch file for Better Vampires. Dawnguard and Better Vampires required. This patch fortifies the enchantment of Vyrthur's black Auriel amulet. 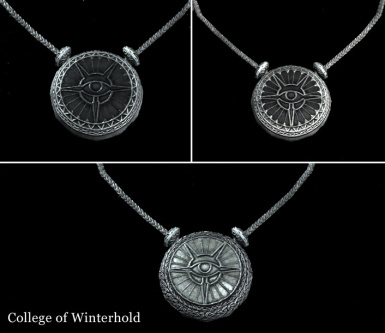 Vyrthur's amulet has the unique enchantment which cancel the weakness against sunlight of Vampires who aren't modified by any mods. 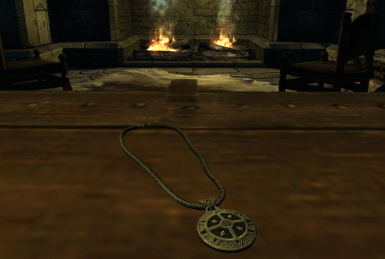 However, Better Vampires changes this weakness more deadly, so the enchantment of Vyrthur's amulet don't work well. If you want more powerful enchantment, use this patch. 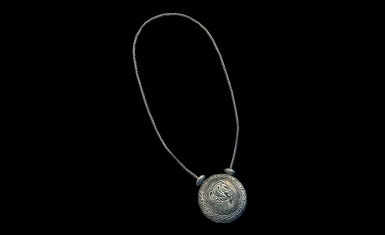 - Added new amulets(Flute, Drum, Lute amulets, small stone amulets). 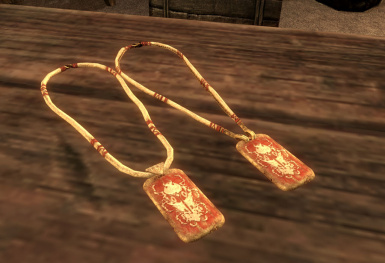 You can buy them at Radiant Raiment in Solitude. 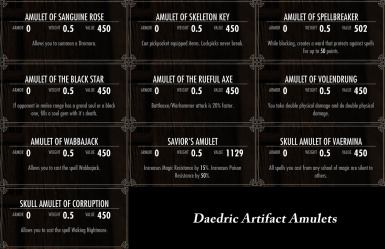 - Added non-enchanted versions of pre-enchanted amulets (and rings). You can burn off pre-enchantments of some amulets at Skyforge from 6:00AM to 20:00PM and can take back pre-enchantments at Skyforge from 0:00AM to 3:00AM.After removing pre-enchantments, it is possible to enchant burned amulets at an arcane enchanter. 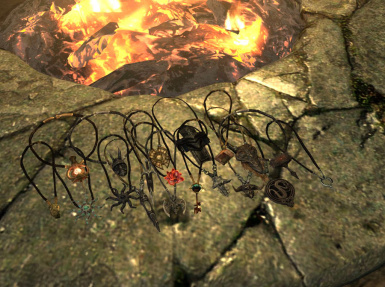 There are the other pre-enchanted amulets(and rings). If you want to get those non-enchanted versions, visit this mod's test room mentioned in the last section in the description page. All non-enchanted versions from the base game are in a strongbox above a fireplace and all non-enchanted amulets from DLC are in each amulet chest summoned by the console command. 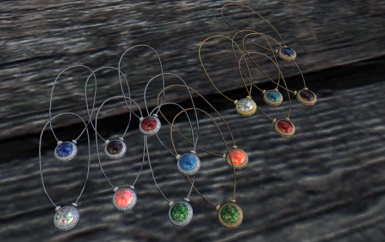 - Resized the charms of 9 Hold tiny necklaces added at version 4.0. 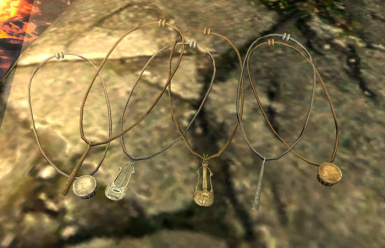 - Changed the textures of 9 Hold tiny necklaces to make easy to recognize a hold symbol. 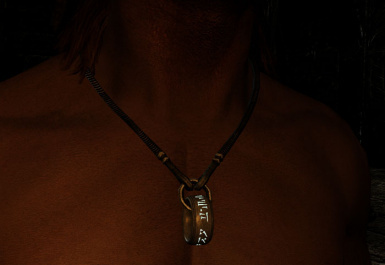 - fixed misspelled Whiterun tiny necklace's name. 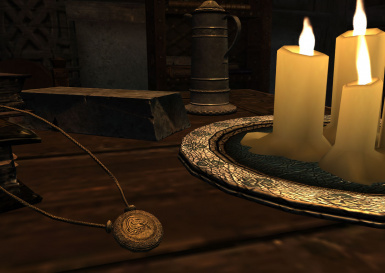 - Moderated the glowing map texture of "Amulet of Boethiah". -Added ring meshes for the left hand. The left-handed rings use the slot 60. 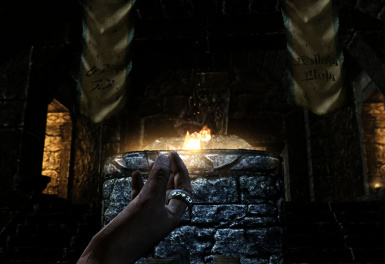 Dragon priest rings, Ring of the Voice, Ring of Jurgen Windcaller and two Dragonborn rings: You can craft left-handed rings from right-handed rings at a tanning rack. 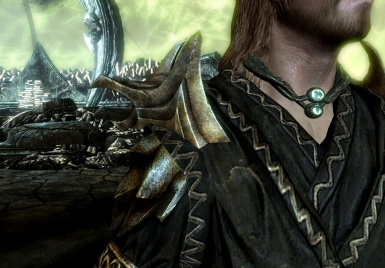 If you enchanted a Dragonborn ring or ring of the voice, the enchantment will be lost at crafting the other hand ring. 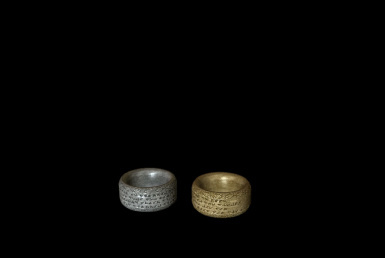 Gold ring, Silver ring and Thalmor ring: Buy the left hand rings from Amulet Trader in the Ragged Flagon or Madesi in Riften. Those rings' left-handed version cann't be crafted. -Fixed the enchantment bug of Auriel Amulet. 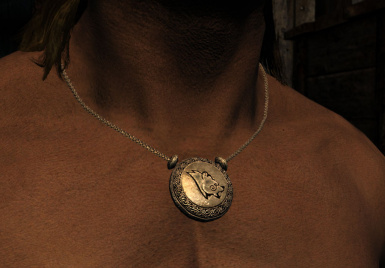 You can sleep with this amulet, if you are not a vampire. -Changed, Weakened all guild top's amulet enchantments and Ring of Jurgen Windcaller. 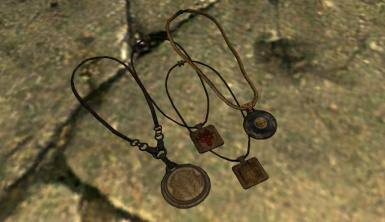 Old amulets are marked with "(Old)" or "Ancient" in each item name and are not updated automatically in the game. 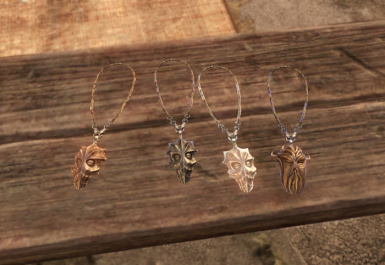 Craft new version's amulets from old ones at a forge. Nightingale Amulet: Crouching stops combat for a moment and forces distant opponents to search for a target. Ring of Jurgen Windcaller: Time between shouts is reduced 20%. If you have the magic effect of "Voice of the Sky", the shout cool time is reduced 20% more. 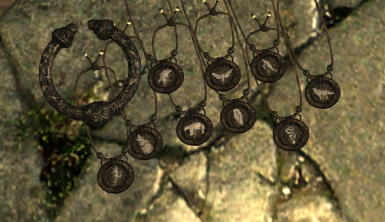 -Changed magic effects and powers that added by amulets. Amulet of Ebony Blade: Weakened the magnitude of absorbing health of opponents. Skull Amulet of Corruption: Increased the spell cost. Amulet of the Shadow: Added some penalties to the power. Amulet of the Serpent: The effect of the power works randomly. 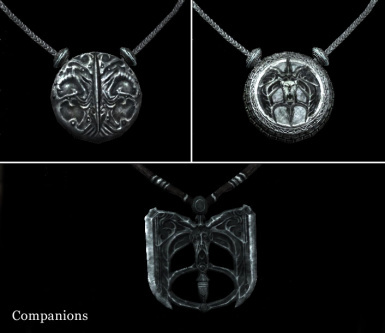 - All daedric artifact amulets and Ulflic's amulet show up on the nord vampire races. 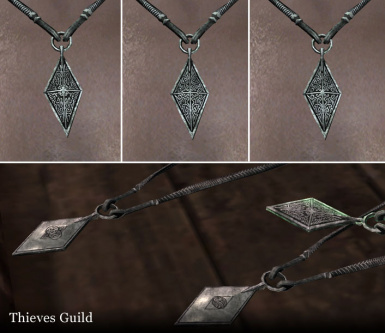 - Changed the way of giving the quest reward amulets to the player. 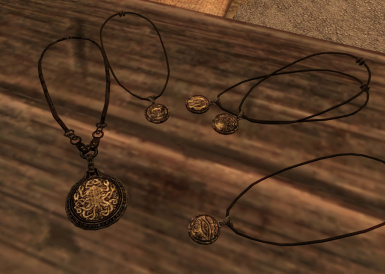 The courier will deliver the thane amulets and the other amulets when the thane quests or the other quests are completed. 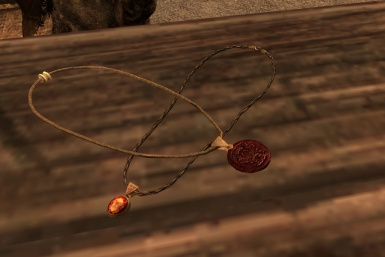 Iona doesn't have your thane amulet anymore. 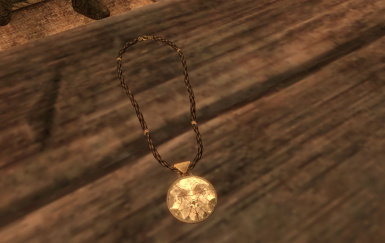 After completing the thane quest of Rift, the courier will deliver the Rift thane amulet to you. Small update for compatibility with some mods which use the same event node of the story manager. The setting of Thane amulets reward quest node in the event node is fixed. Choose one esp file and overwrite the version 2.7 file. - All amulets show up on the custom races. 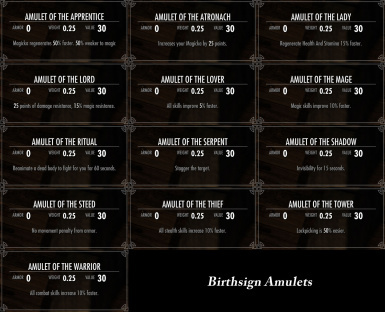 - Added a new common amulet for the base game. 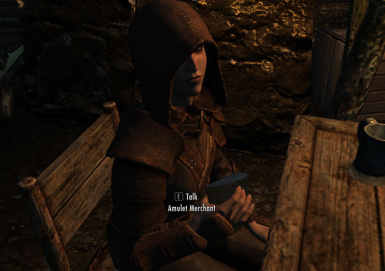 Madaesi in Riften sells it. fixed wrong file paths in fomod xml. 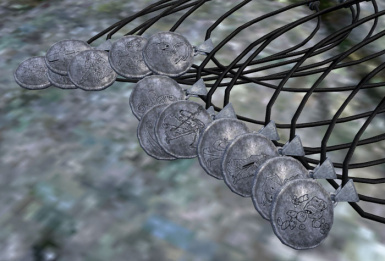 - Added new amulets and rings for base game. 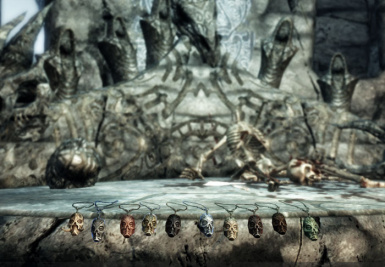 - Added new rings for Dragonborn(DLC). 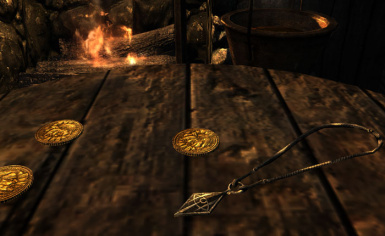 - Added new amulets for Dawnguard(DLC). 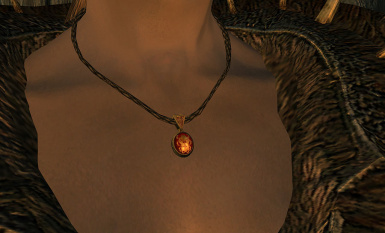 - New optional file which adds Dawnguard amulet to the outfit of Dawnguard soldiers. 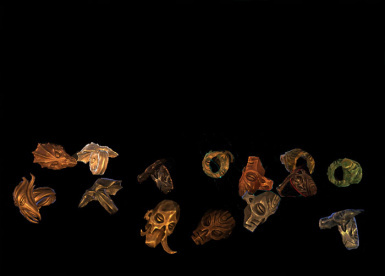 - Added new amulets and rings. 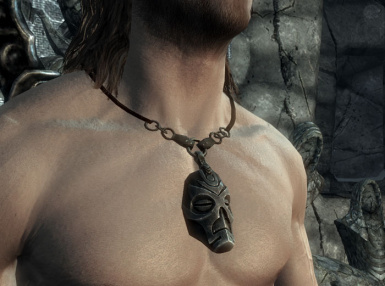 - Added new amulets for Dragonborn(DLC). 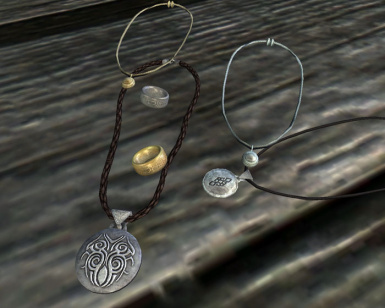 - Improved some meshes of amulets and ring. 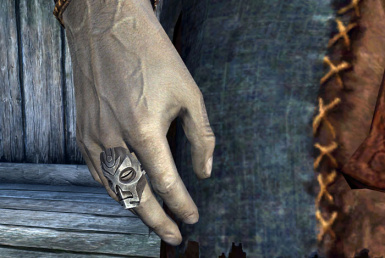 - Modified textures Thalmor amulets and ring. 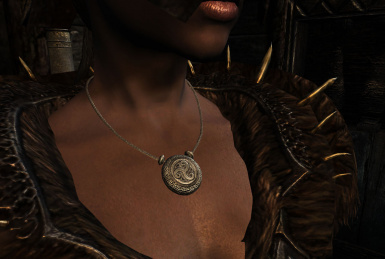 - Added the guard amulet to the outfit of Solitude guard. 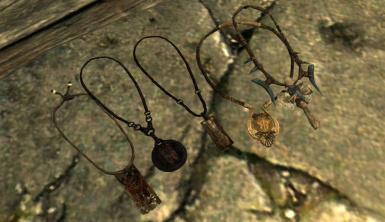 - All guard's amulets have become uncraftable. 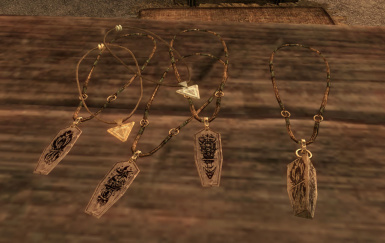 - Added a lot of new amulets. 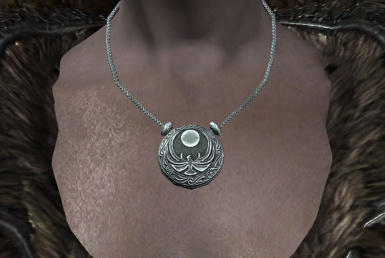 - All amulets added by this mod now have their own mesh. - Changed the name of the mod and all esp files at this version. Uninstall version 1.0 before installing version 2.0. Do not use old files together with new ones. Delete the following files and folder. - "SL01GuardAmulets_WICSkyCloaks_AddOutfit.esp" or "SL01GuardAmulets_Cloaks_AddOutfit.esp" or "SL01GuardAmulets_WICCloaks_AddOutfit.esp" or "SL01GuardAmulets_AddOutfit.esp"
Download update file and merge it to version 4.05. If you install this mod for the first time, install version 4.05 and then install and merge update file to version 4.05.
just merge version 4.061 to the existing version 4.06. This mod doesn't change any quests, NPC's data, or Vendor's chest, and seems to be compatible with most of other mods. 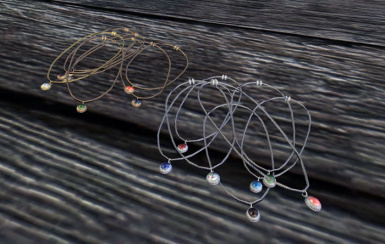 Has the compatibility with Immersive Jewelry's enchanting system too. This mod has better compatibility with Unofficial Skyrim Legendary Edition Patch or Unofficial Skyrim Patch. But we don't need the unofficial patch as master files. This mod will work without the unofficial patch. Install these meshes and overwrite the main file's meshes. Unzip the zip file of this mod. Extract the required files from the unzipped files and locate them to the "Data" folder of Skyrim. Pick one esp file from the files of "espFiles" folder. 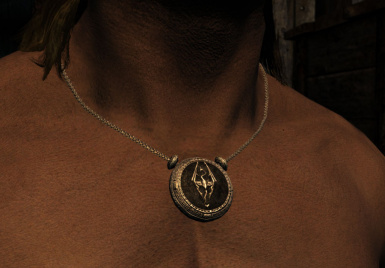 "DG" means Dawnguard and "DB" means Dragonborn. Locate all resource files in "BaseGame" folder to the Data folder: "meshes" folder, "textures" folder and "SL01AmuletsSkyrim.bsa". If you picked the esp file including Dawnguard, place all contents of "DG" folder to the Data folder: "meshes" folder, "textures" folder. If you picked the esp file including Dragonborn, place all contents of "DB" folder to the Data folder: "meshes" folder, "textures" folder. Pick one optional file from the files of "Outfit" folder, if you want it. Read the next section about the outfit file. 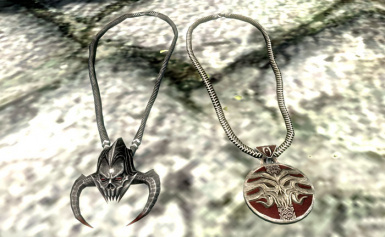 The optional file distributes amulets to guards and soldiers of the world. This file changes their outfit data. All optional file are included the main download file and installed with the installer. If you install them manually, please see the followings. 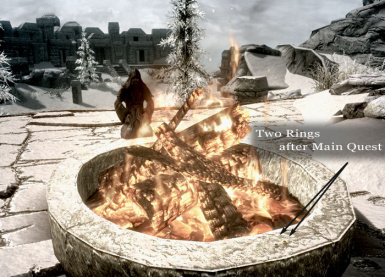 There are three versions for "Cloaks of Skyrim" and "Winter is Coming - Cloaks", and one version for "Complete Crafting Overhaul Remade". "..._Cloaks.esp" is compatible with "Cloaks of Skyrim" only. "..._WICloaks.esp" is compatible with "Winter is Coming - Cloaks" only. "..._WICSkyCloaks.esp" is compatible with both "Cloaks of Skyrim" and "Winter is Coming - Cloaks". This optional file requires also "1nivWICSkyCloaksPatch.esp" included in the mod "Winter is Coming - Cloaks". 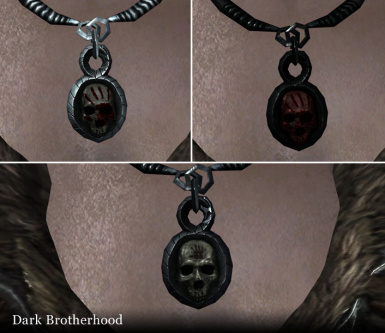 "SL01AmuletsSkyrimDGDB_Outfit_CCOR.esp" is compatible with "Complete Crafting Overhaul Remade". 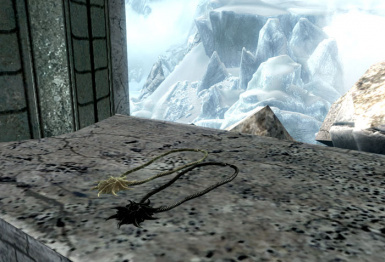 CCOR includes "Cloaks of Skyrim" and "Winter is Coming - Cloaks". When you have CCOR, choose this outfit file. 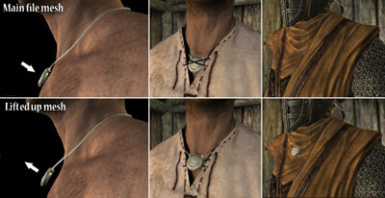 If you have neither "Cloaks of Skyrim" nor "Winter is Coming - Cloaks", try "SL01AmuletsSkyrim(DG)(DB)_Outfit.esp". Delete the following files and folders.